The world has been transformed into a global village with the onset of new technologies and especially the internet. Wherever we are, we can avail information about things on the other side of the globe. However, this fact does not decrease the geographical distance or the number of events taking place in different parts of the world. Every second some or the other occurrence conspires to change the world as it was. These events contribute into the making of history and the day on which these happen become a special one irrespective of the year. As for example, the date 4th April – it comes every year and will take up a place in the calendar for many more to come. However, this date has cemented itself in the pages of history with life changing events scattered among various years. The events still ring a bell and have been successful in leaving behind an impression on our minds. There are some specific occurrences like the death of Martin Luther King Jr. which we immediately associate with 4th April. Apart from this there are many other happenings which took place on this date that have definitely been what we can call experience and here we shall unfold them one by one. Francis Drake was a vice admiral during the time when Queen Elizabeth I ruled. His successful naval operations earned him much respect among the English and in 1581, he was knighted by the queen. The exiled King Charles II of England issued a manifesto which contained certain terms and conditions which were to be fulfilled once he resumed kingship. This document, initiated at the advice of Parliamentarian General George Monck, restored monarchy in the country. A renowned British statesman, Robert Walpole is considered the first prime minister of Great Britain and according to sources, on 4th April, 1721 he joined office. However, before being appointed as the Prime Minister, he held many important offices like the Lord of the Treasury and he was the one who helped in bringing economic stability after the ‘South Sea Bubble’ crisis. Embargo applies to trade relations between countries restricting commerce among countries partly or fully. In 1812, President James Madison implemented a ninety-day embargo which affected trading with the UK, and this was one of the reasons behind the ‘War of 1812’. Napoleon Bonaparte, the Emperor of the French, who played a significant role in the ‘French Revolution’, had to step down from power following a series of unfortunate events. On this day in 1814, he renounced his position as the emperor and a few days later the ‘Treaty of Fontainebleau’ was signed which resulted in his exile to Elba. The US Congress passed an order according to which the flag would have 13 white and red stripes representing the thirteen British colonies. It was also decided that the flag would contain 20 stars for each of the states, and every time a state is added, the number of stars would also increase. 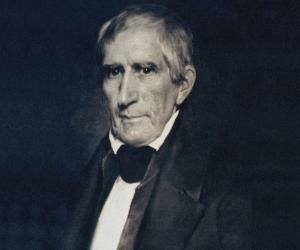 William Henry Harrison, who served as the ninth President of the United States, died on this day in 1841. He was the shortest serving president of the country who died 30 days after assuming the office. Alexander II of Russia was Emperor of Russia as well as Poland. He was also the Grand Duke of Finland. In 1866, a revolutionary named Dmitry Karakozov tried to kill the tsar—an assassination attempt which the king miraculously escaped. Susanna Madora Salter, who is supposed to be the first female mayor in the United States, was appointed to the post on this day in 1887. 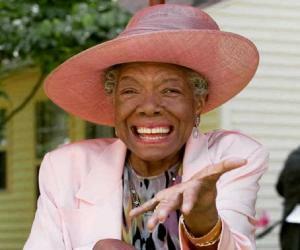 She served as the mayor for Argonia city in Kansas. With her began the era when women too began to seek a career in politics. Emmanouil Argyropoulos was a Greek aviator and member of the ‘Hellenic Air Force’ who was the first pilot to fly an aircraft in Greece. During the ‘First Balkan War’, he lost his life when his plane fell from a height of about 600m. The paramilitary organization, ‘Schutzstaffel’ or ‘SS’ (Protective Echelon) was founded by Nazi leader Adolf Hitler on 4th April, 1925. This began as a small group but soon gained immense power with the rise of Nazi movement. In Panama, the communists parted ways with the Labour party and formed a new association on this day in 1930. It came to be known as the ‘Communist Party of Panama’. This organization became a member of the ‘Communist International’ (Comintern) and later changed its name to ‘People’s Party of Panama’. The ‘North Atlantic Treaty’ was signed in 1949 among countries who agreed on mutual defense. This treaty initiated the establishment of the ‘North Atlantic Treaty Organization’ (NATO) which has headquarters in Belgium, Brussels and Haren. This federation was made by combining the Sudanese Republic and the parts of Senegal which were colonies of France. On 4th April, 1960, the Federation of Mali was formed with an autonomous rule in spite of being within the French Community. ‘Beyond Vietnam: A Time To Break Silence’ Speech By Martin Luther King Jr. 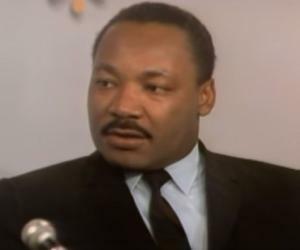 The famous ‘Beyond Vietnam: A Time To Break Silence’ or the ‘Riverside Church’ speech was delivered by social activist Martin Luther King Jr. in 1967. In this speech King Jr. expressed his concerns and thoughts about the ill-effects of the ‘Vietnam War’ as well as spoke against the policies which instigated the war. Exactly after a year of the ‘Riverside Church’ speech, the leading figure of African-American civil rights was assassinated by racist James Earl Ray. The leader was on a tour to Memphis, Tennessee, on a mission to create awareness and advocate the sanitary public works employees who were black. Norodom Sihanouk held many vital positions in Cambodian government. He was the king, prime minister and head of the state during his political career. He was instrumental in freeing Cambodia from the French rule. However in 1976, he stepped down as the head of the state after seeing the harsh effects which the Cambodian genocide had on the state. Zulfikar Ali Bhutto was a Pakistani politician who served as the fourth President and the ninth Prime Minister of the country. He was the founder of the ‘Pakistan People’s Party (PPP), and had great political impact. However, in 1979, he was tried by the Supreme Court on allegations of murder of a competitor Mohammad Ahmad Kasuri and sentenced to death. The 40th President of the United States Ronald Reagan delivered an impacting speech during a news conference in 1984. This speech in which he talked about prohibition of production, possession and use of chemical weapons was broadcast live on mass media on 4th April, 1984. A few years later, the ‘Chemical Weapons Convention’ (CWC) was formulated and signed by President George H. W. Bush. Mecham was a war veteran and as a means of livelihood he owned a car dealership. He also published newspapers occasionally and had an interest in politics. After much unsuccessful attempt, he finally became the Governor of Arizona. However, his political career was short-lived as only a year after his appointment he was subjected to impeachment and removed from office. The Navy of the Iranian Revolutionary Guards held captive 15 officers of the Royal Navy for 13 days in 2007. On 4th April the same year, the Iranian President freed these personnel. The ‘American Civil War’ ended slavery in America and President Abraham Lincoln was the man who felt for the slaves and freed them from the clutches of this dreadful situation. After Richmond was seized by the Union forces and the Confederate forces vacated the region, Lincoln paid a visit to the place where the slaves worshipped him. Bucharest is the capital city of Romania and during World War II this was a Nazi ally and the most important place with regards to cereals and oil. Therefore, this became a target of the allied forces and on this day in 1944, the first bombing of Bucharest was executed. Ohrdruf concentration camp was the first Nazi forced labor camp which was made free by the US troops. The people there were living in a deteriorated condition and every day the number kept increasing. But these atrocities ended after the 89th Infantry Division and the 4th Armored Division reached the camps and liberated them. In the four day long ‘Battle of Kassel’ which was fought between the German forces and the US army, the 80th Infantry Division of the US were proved to be too powerful, resulting in the victory of the US. The German city Kassel was thus acquired by the triumphant force. Hungary which was occupied by the Germans during World War II and the combined troops of both the nations emerged victorious in the ‘Battle of Debrecen’. But this success could not deter the Soviet army from approaching the country. Soon the Soviet troops entered Hungary and took control of it by driving the Germans troops away. One of the longest running wars in history, the ‘Angolan Civil War’ continued for a span of 27 years. However, in 2002, this power struggle between the MPLA and the UNITA came to an end after the country’s government and the rebel forces UNITA agreed to a peace treaty. The Cottenham village of Cambridge has been victim to fiery disasters time and again but the one which left a mark in history is the one which occurred in 1850. The fire spread far and wide but thankfully there were no casualties except for the loss of property and poultry. World’s first multi-purpose aircraft USS Akron was built by the ‘Goodyear Tire and Rubber Company’ in order to help the US Navy in fleet operations. This airship could not serve the purpose for too long as in 1933, various factors resulted in its crash killing almost all the crew members. After the ‘Vietnam War’ ended, children from South Vietnam were being transported to the United States, France, Australia and Canada. However, the first flight which took off with hundreds of infants and children met with an unfortunate accident which took place on this day in 1945. However, the other flights engaged in this mission were able to save many lives and give the orphans a home after adoption. The former US Senator attended a news conference in Williamsport, Pennsylvania on this day in 1991. After that he was supposed to travel to Philadelphia in connection to the ‘Bleeding Medicare Dry: The Great Sales Scam’. Reportedly, his aircraft encountered some technical issues and to repair this, a helicopter was sent. Unfortunately, a collision between the two resulted in a crash killing all on board. The Greek basketball team ‘AEK. B.C’, which was founded in 1924, won the ‘European Basketball Cup’ for the first time. In the final their opponent was the Czech professional basketball club ‘Slavia Prague’ whom they defeated with an 89-82 score. This day saw the beginning of modern circus in London in 1768. Earlier circuses were held in open areas but cavalry officer Philip Astley built up an amphitheater in which acts such as horse riding could take place. One of the most famous songs in the history of American music is the ‘Dixie’ song by the band ‘Bryant’s Minstrels’. The stage of the ‘Mechanic’s Hall’ was the place where this song was first performed on 4th April, 1859. Ben-Hur was a silent movie which influenced the remake by the same name in 1959. The remake version of this epic drama bagged 11 Oscars the following year. 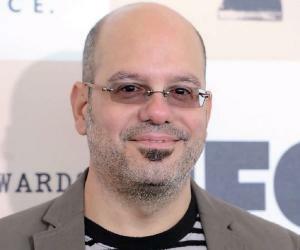 Decades later, in 2014, another remake of this movie made news and it is scheduled to hit the theatres in August, 2016. The rock band ‘The Beatles’ has been winning hearts ever since their inception in 1960 with members John Lennon, George Harrison, Paul Mc Cartney and Ringo Starr. This band rose to fame within a short period of time and their popularity was termed by some as the ‘Beatlemania’. Within a few years this band earned a place in the top five positions of the ‘Billboard Hot 100 Pop Chart’. Paleontologists study fossils to track the history of life on earth and French naturalist George Cuvier is regarded as the ‘Father of paleontology’. In 1796, Cuvier delivered the first ever lecture on the subject to the people in ‘National Institute of Sciences and Arts’, Paris. Los Angeles which is the centre of the American entertainment industry was founded in 1781. About sixty years after its foundation, this place was incorporated as an American city in 1850. ‘The Kennel Club’ is an international charitable organization dedicated to the welfare of dogs around the world. This was established in 1873 by a person named S.E. Shirley along with twelve other people. Their first kennel was at Victoria Street, London which was a flat comprising 3 rooms. The dove was what we earlier associated with peace but after the symbol for the ‘Campaign for Nuclear Disarmament’ was articulated by Gerald Holtom, this has been adopted as the peace symbol all over the world. The people of London first saw this symbol in 1958, when it was used during a march from Trafalgar Square to Aldermaston, Berkshire. Sweden tried to maintain neutrality between the east and the west during the ‘Cold War’ and to do this they needed an efficient defense force. Therefore, the defense company SAAB was designated to build combat aircrafts which could play many roles and thus, the SAAB Viggen aircrafts model were introduced in 1965. The ‘Apollo Program’ conducted by the ‘National Aeronautics and Space Administration’ (NASA) was successful in making humans land on the moon. The last unmanned test of this program was ‘Apollo 6’ which was launched on this day in 1968. Heart transplant has been a huge advancement in the field of medical science. The first artificial heart was made with polyester and plastic and it helped the patient named Haskell Karp, who was 47-years-old, stay alive for three days before he could get an original heart implanted. We all know about the horrific day when the ‘World Trade Center’ was turned into debris killing thousands of people after the terrorist attack of 9/11. But when were those sky-scaling Twin Towers opened? It was the 4th of April, 1973 that the ‘World Trade Center’ was inaugurated. ‘Microsoft’ which is one of the biggest names in the world of technology was founded on this day in 1975 in the city of Albuquerque, New Mexico, United States. Since its inception it has brought many new technologies to the world and if we consider the revenue earned, this is the world leader in software development. With the launch of the space shuttle ‘Challenger’, NASA completed its ninth biggest mission. This spaceship which was built by the Space Transportation Systems Division of ‘Rockwell International’ went on its first flight in 1983. However, three years later, this was destroyed in a disastrous accident. The present flag of Hong Kong which has a five petal white flower in the middle of a red background was adopted as its flag in 1990 at the Third Session of the Seventh National People's Congress. 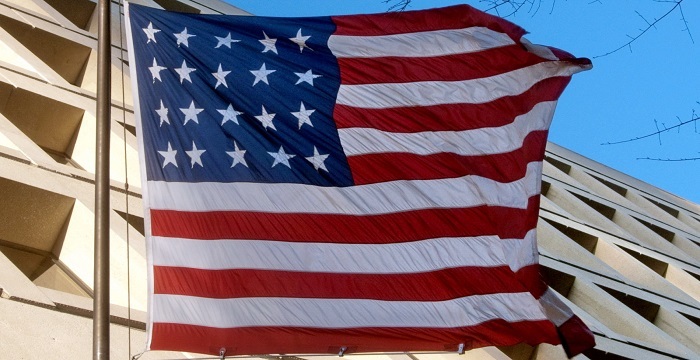 The first official hoisting of this flag occurred seven years after its adoption. The American company which specializes in computer services is renowned for its web browser ‘Netscape Navigator’. This company named ‘Mosaic Communications Corporation’ was founded in 1994, by Marc Andreessen and James H. Clark. This comet was discovered in 1996 and a few months later, on 4th April its images were successfully captured by the Asteroid Orbiter named ‘Near Earth Asteroid Rendezvous’ or the ‘NEAR Shoemaker’.